Today was a harsh reminder that no matter how successful I've been in not getting carried away by beauty guru-generated hype and avoiding impulse purchases, I am not completely impervious to the dreaded FOMO. 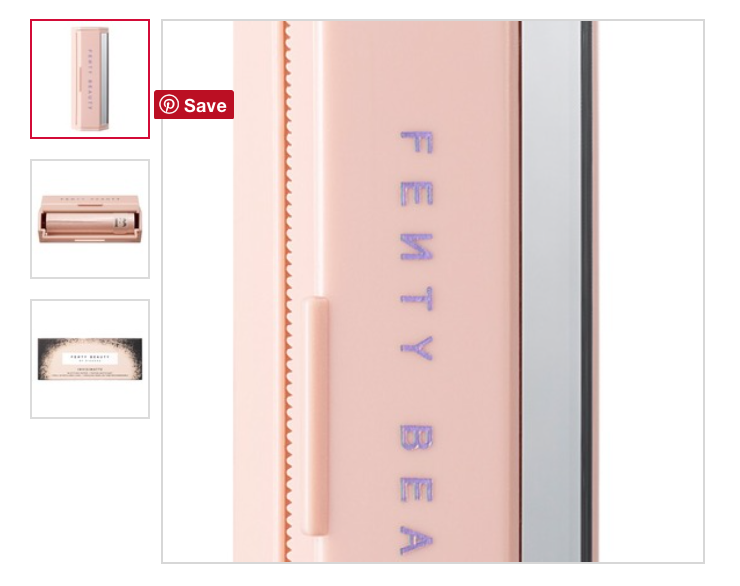 If you asked me two days ago I wouldn't even have the slightest clue what Fenty Beauty was, but today it's suddenly the most important thing in the world. I guess the worldwide launch is a big factor - Singapore is usually a couple of weeks behind as far as product availability, and by then the make-up forums have had time to tear it apart if it's crap, giving me enough time and information to evaluate a prospective purchase. But this time we're getting it on the same day as the US (a few hours ahead, even), so there's this element of excitement, I guess. Oh, and it's Rihanna's very own makeup line, so it's bound to be a big deal. Remember the whole hype surrounding Riri Woo? Now (thankfully) I'm not crazy enough to hightail it to Sephora on a work day, but I am not above stalking Sephora's website. At this point the only thing I knew about it was that the packaging was the perfect shade of ~millenial pink~. But of course. 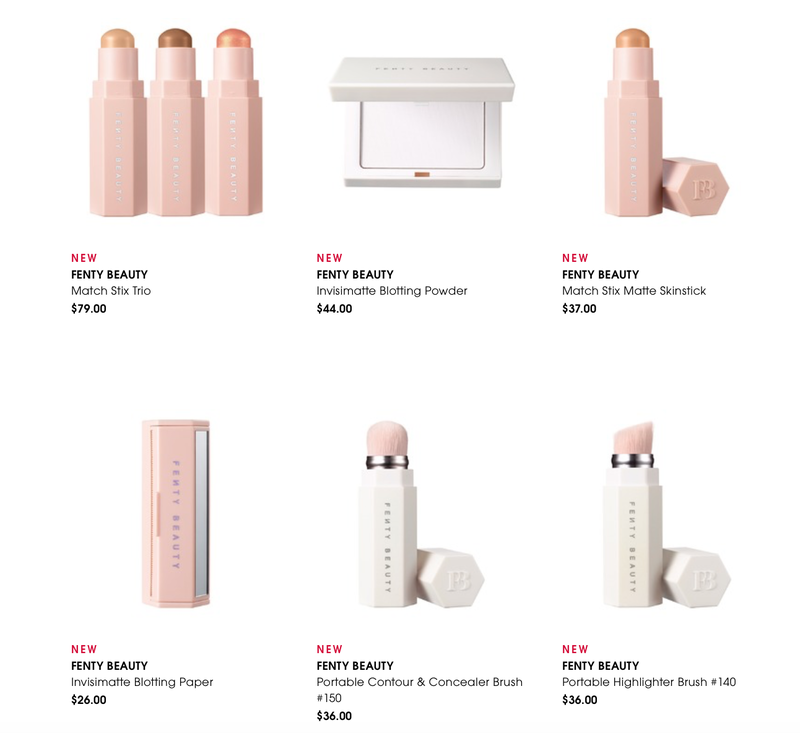 By some weird glitch, I found a couple of items already listed on sale a few minutes before 3pm (the online launch was slightly delayed to coincide with the rest of the world's), and so I had to take the chance and clicked on the foundation, tried to "guess-timate" my shade (no swatches online yet), added it to my cart, and found out that there's a free Fenty holographic pouch with purchase. Sweet. I click back to browse some more, but as it's already 3pm at this point the website crashes. Whoops. Two minutes later it's back up again, with more items added to the range this time! During that short downtime I scoured my instagram feed for swatches (nope), and decided that foundation was too risky. But I kinda really want to get that free pouch... so I try and look for whatever else I can buy. There's a roll of blotting sheets with a mirror. Perfect! I use blotting sheets. Sometimes. Plus it would fit so nicely in my makeup bag. I removed the foundation from the cart and tried to check out. Uh-oh. I need 14 dollars more to qualify for free shipping. Must find more items. There's this foundation stick that I could maybe use as contour, so the shade match wouldn't have to be as perfect. Instagram again, for swatches. Everything is potato quality, but I settled on a safe shade. Latte. If it won't work as a countour it'll probably still work as a bronzer of sorts. Add to cart. Horror of horrors: the bag is gone! Apparently in the time it took for me to look through the #fentybeauty hashtags they sold out. Gah. I looked at my cart again. I've never been a fan of contour sticks. In theory I like them, but never actually reach for them. 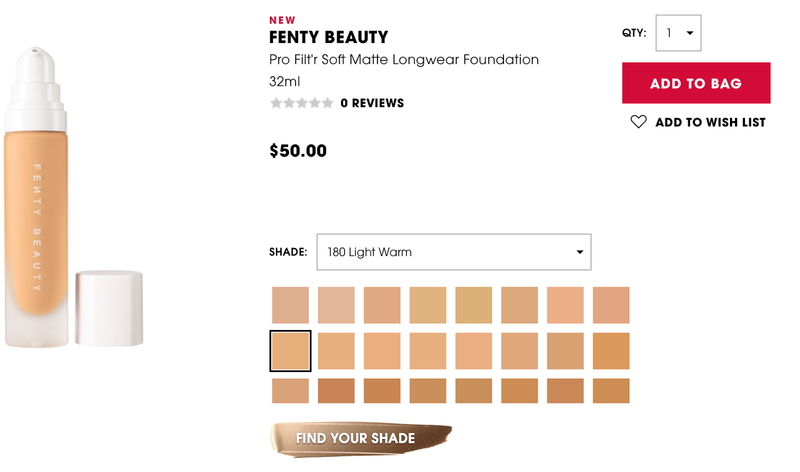 Why do I think this will work, more so than others I have personally tried and swatched in-store? Removed from cart. And then the blotting sheets. I actually haven't used blotting sheets in months. Also this particular type is very similar (probably the same) as the Shiseido paper ones that are popular in Japan, which I kinda hate. And when I zoom in on the packaging it actually looks kind of cheap - holographic text? And holographic pouch? Really?!? Why did I think I needed this again? The clincher: It occurred to me, at the end of it all, that I'm not even Rihanna's biggest fan in the first place. I just get stupid sometimes, I guess.